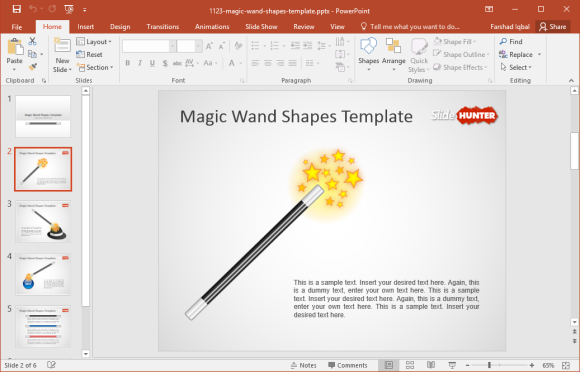 If you want to add some magic to your slides, you might want to use a magic wand. 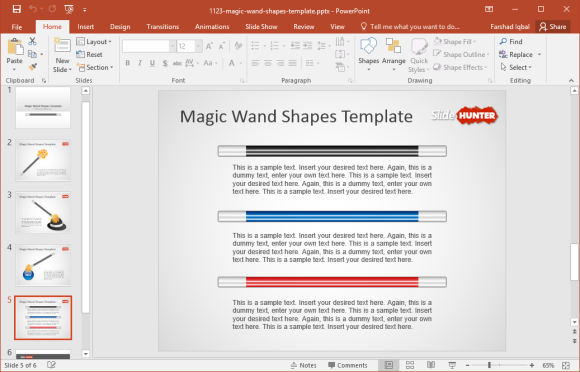 The Free Magic Wand PowerPoint Template gives editable magic wand shapes for presenting your content in an interesting manner. 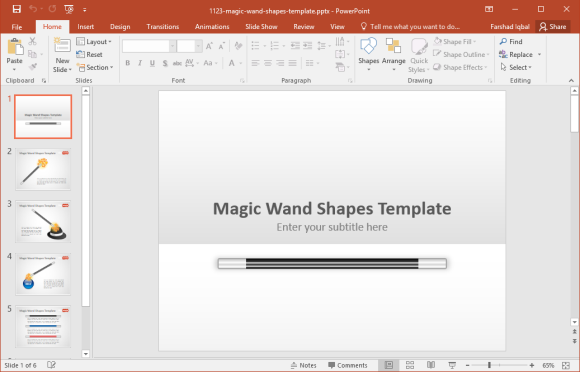 This is a general-purpose template with magic wand slide designs, so you can use it for any suitable presentation topic. The title slide depicts a magic wand with space for adding your title. The second slide depicts a magic wand with magical stars coming out of the wand. There is space for adding your title and detailed information related to your presentation topic. You can also use this template for making PowerPoint Storyboards and children’s presentations. One of the slides even depicts a magic hat, whereas another depicts a blue ball with the option to add text to label the ball. Since all slides provide editable shapes, you can resize and recolor objects in slides to design your own custom illustrations. The fifth slide even presents three differently colored magic wands in black, blue and pink. These wands are laid out horizontally in a manner that can help you design a comparison slide. Alternatively, you can copy these wands for use in designing your own slide layouts. Like all objects in this template, these wands can be resized using drag and drop. Since the quality of graphics is quite good, the resizing of slide objects like the magic wands does not result in pixelation of clipart. 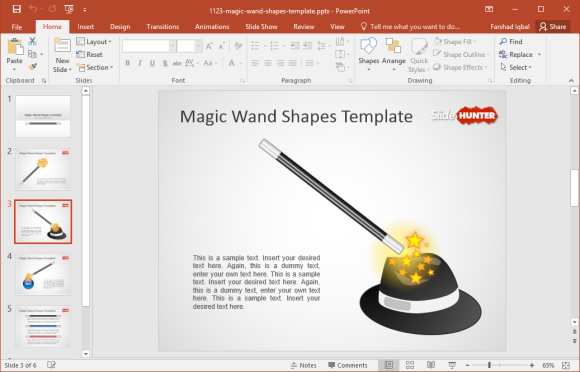 The Free Magic Wand PowerPoint Template can be downloaded from SlideHunter, which also provides a plethora of free PowerPoint templates.